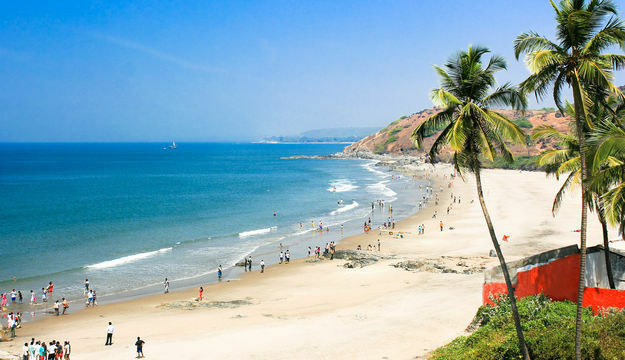 The number one spot for romantic getaways and honeymoons among celebrities and newlyweds alike, here are seven experiences that Goa can offer you on your honeymoon. 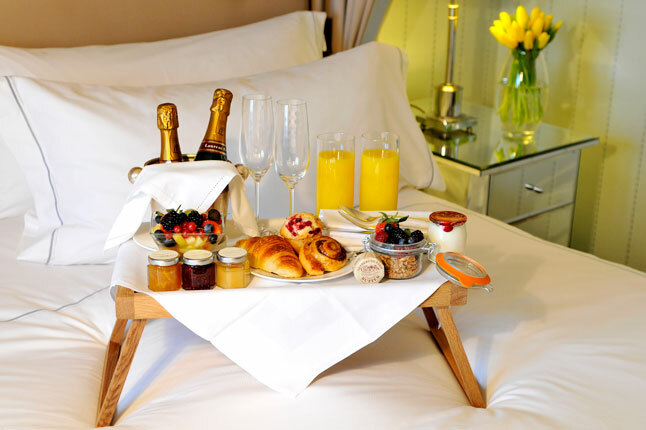 Wake up with your sweetheart to the smell of fresh fruits and bubbling champagne. What could be more romantic? A most popular choice for couples on their honeymoon, this breakfast is offered complimentary by many hotels and resorts in Goa. 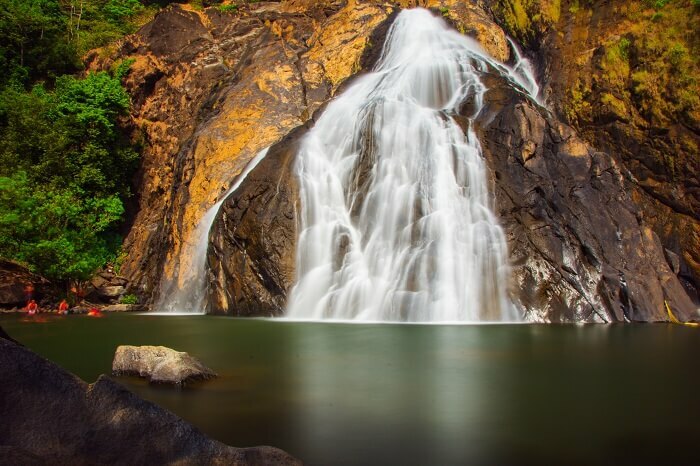 Far from the populated beaches and tourist hotspots, is the serene falls of Dedhsagar. Jump in the tide pools with your spouse or stand under the falls, hand-in-hand. This location also makes for some pretty steamy couple photos! 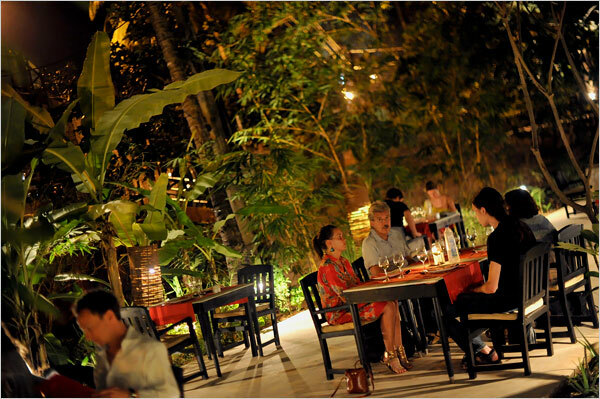 Seated on the edge of Baga River, you and your hubby can enjoy fine dining at this infamous Indo-French restaurant. The views are incredible and if you go around dinner time, you can watch the sun set and enjoy the warm ambience of candlelight. Thought to be one of the most beautiful places in Goa, this expanse of golden shoreline is impeccably clean and quiet. Have a lunchtime picnic, cuddle under the ways of the sun, dip your toes in the water or have a deep conversation. 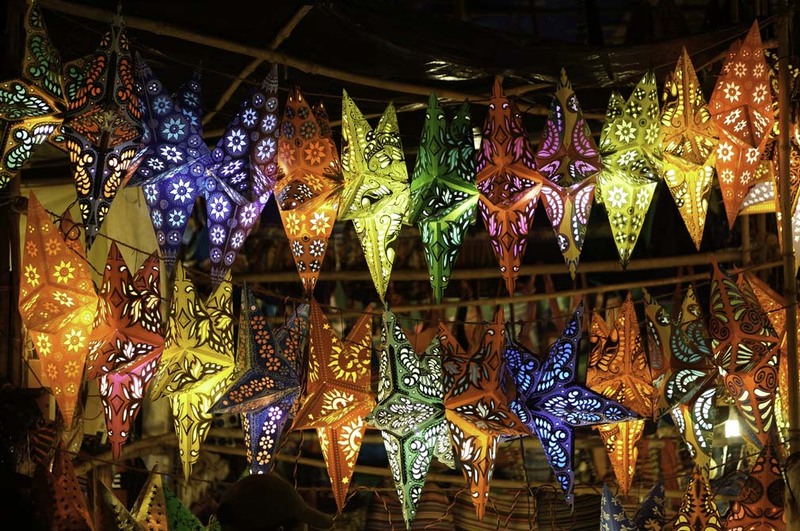 The local charm of Goa lies in the lively night markets! With local entertainment, countless activities, interesting foods and a fun opportunity to shop the colorful streets of Ingo and Anjuna are a must. Set sail over the pink sky of Goa’s Mandovi River in a quaint 1-hour cruise ship ride or local boat excursion. 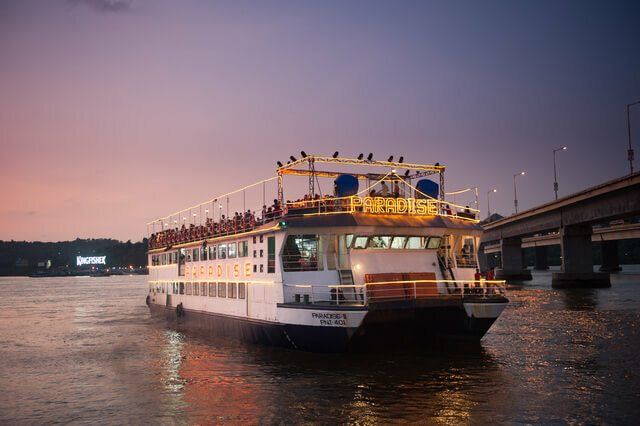 Most nautical transportation options offer dinner, drinks and countless sights including Adil Shah’s Palace, Reis Magos Fort, Miramar Beach and local lighthouses. Go windsurfing together! Or hop in some kayaks and paddle along the golden shores. 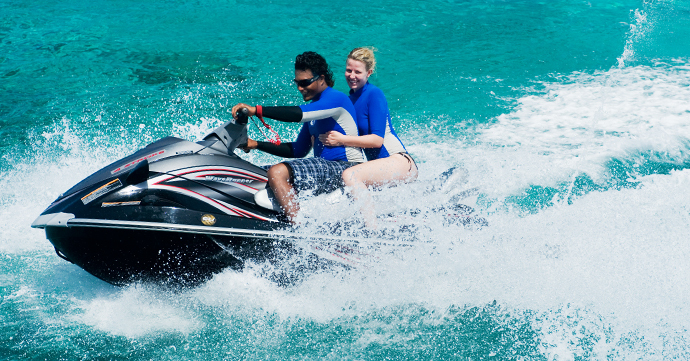 If you’re both the adventurous type, zip around on some jet skis or dive underwater to see the beautiful deep sea with snorkeling professionals.